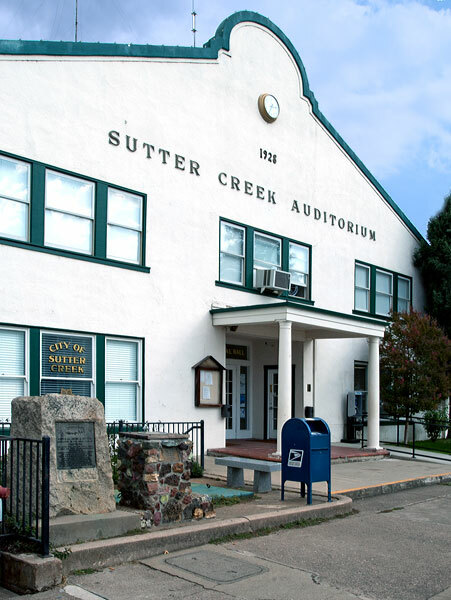 Who mined here and gave Sutter Creek its name and under whose regime gold was discovered. Also to those pioneer mothers, fathers and miners of the Mother Lode which has produced millions in gold. This rock used in Mother Lode champion hand drilling contests. 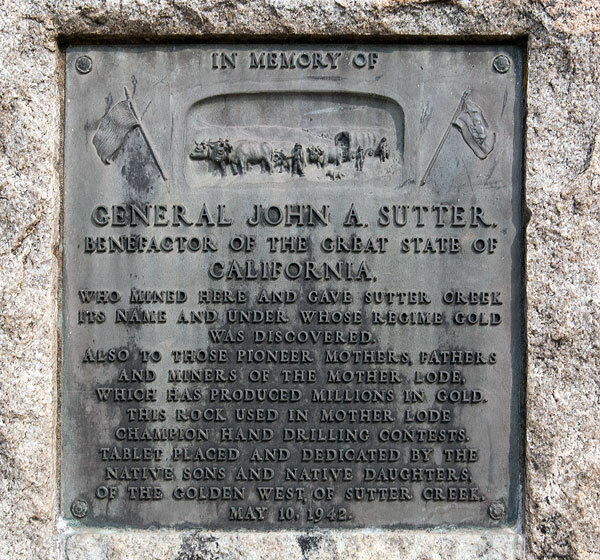 Tablet placed and dedicated by th Native Sons and Native Daughters of the Golden West of Sutter Creek.